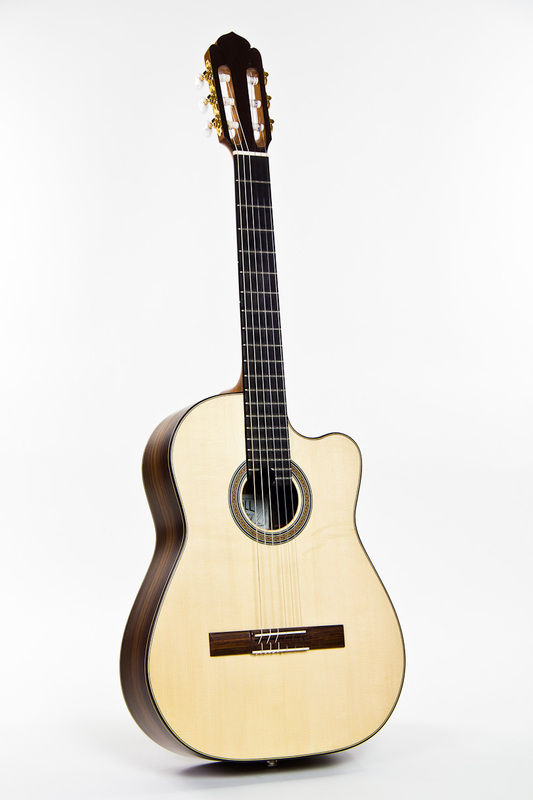 Alegra stands out for its extraordinary appearance. 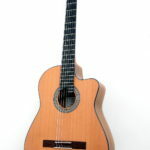 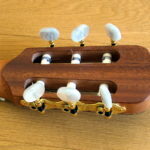 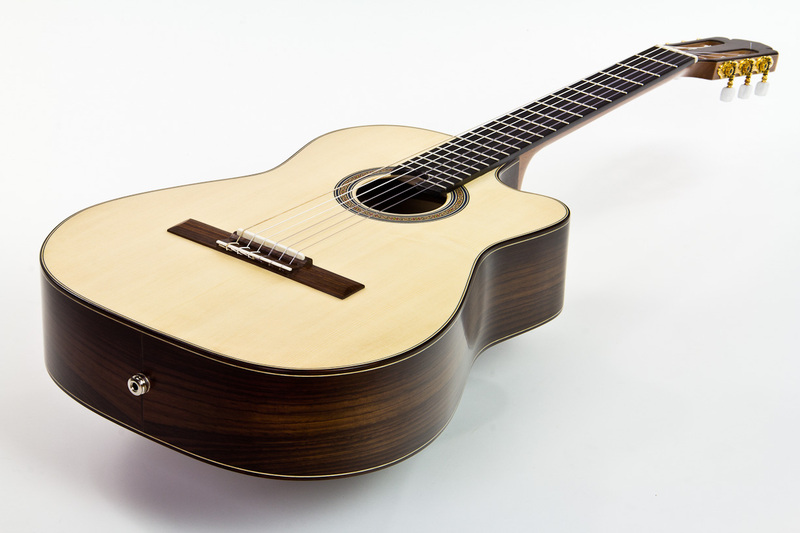 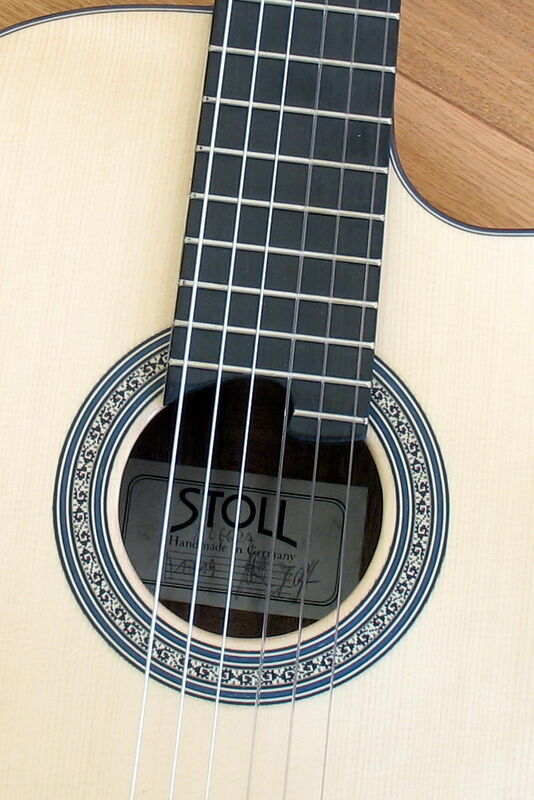 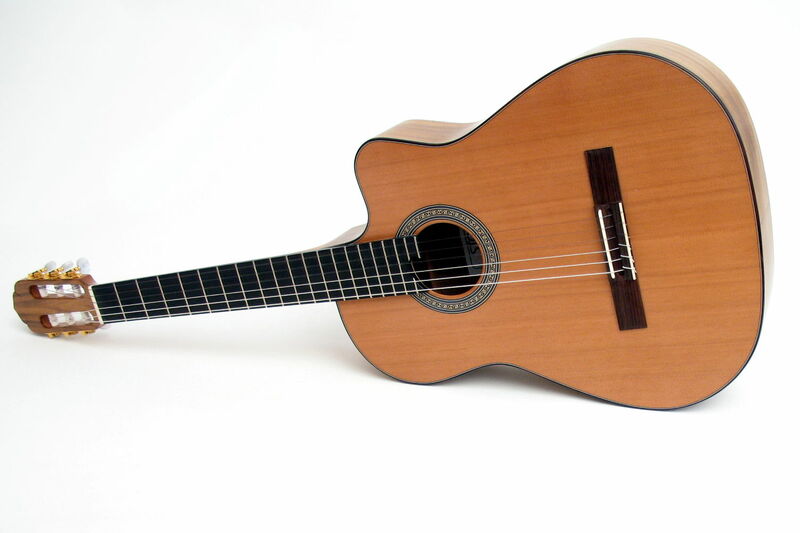 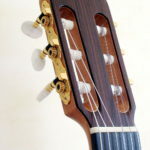 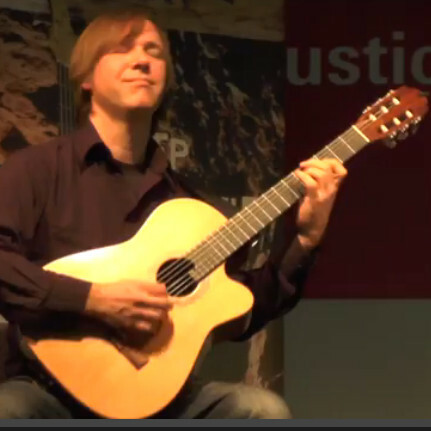 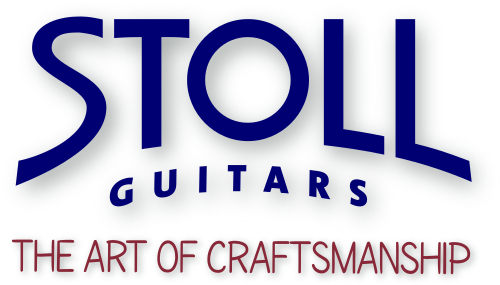 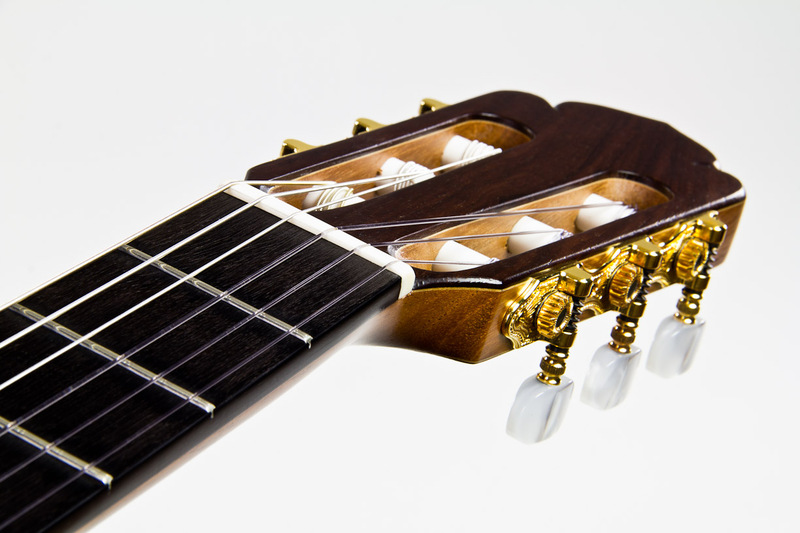 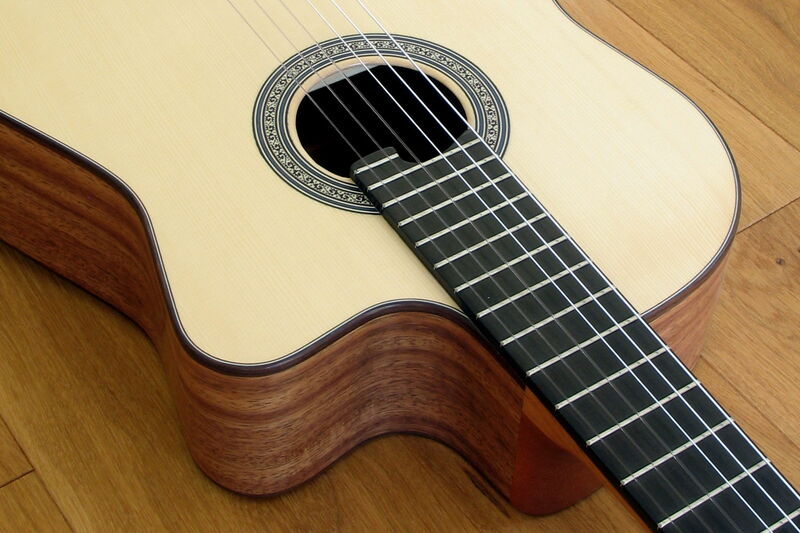 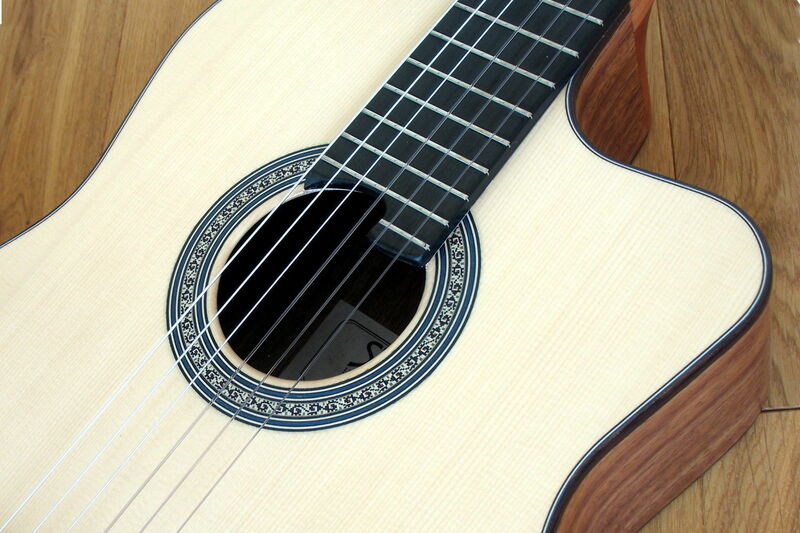 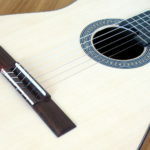 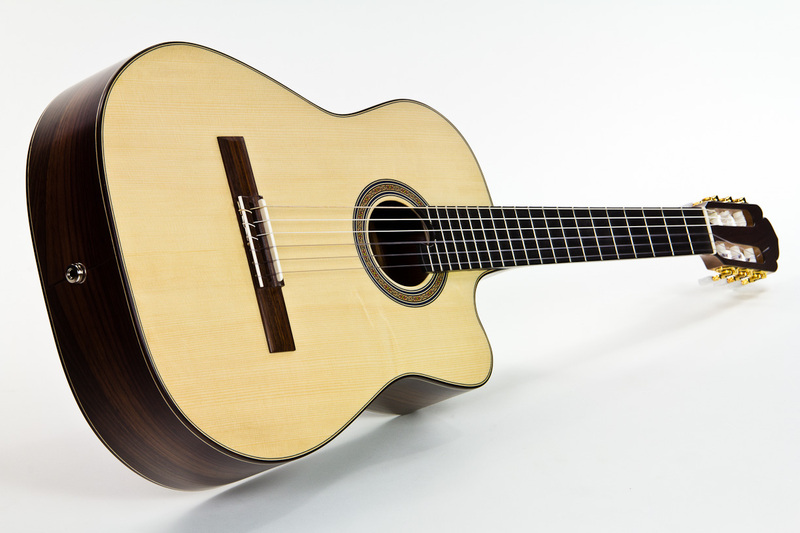 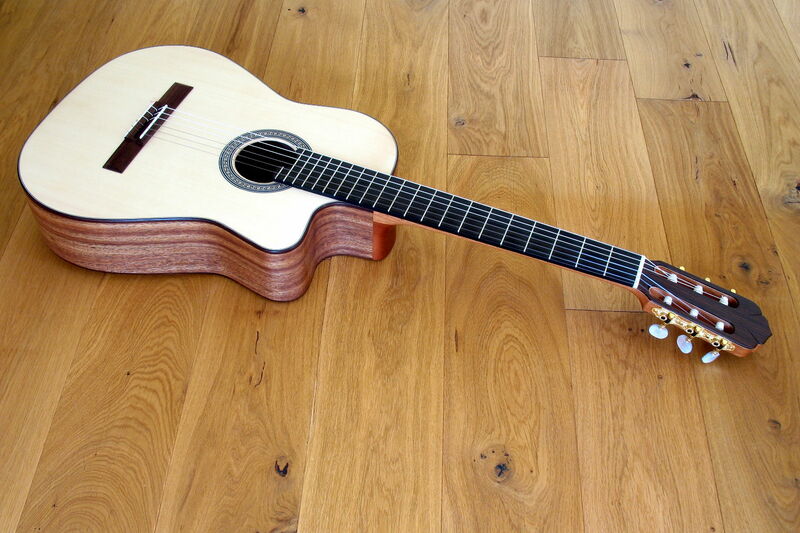 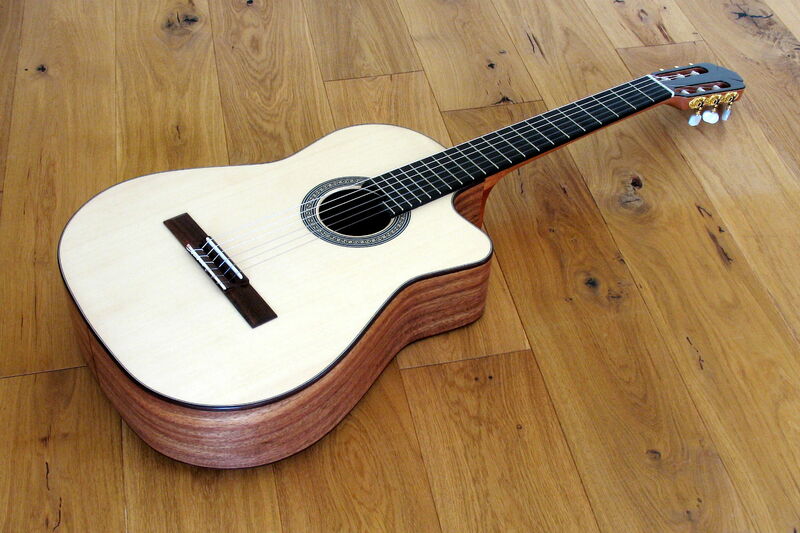 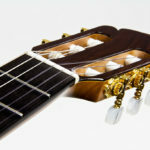 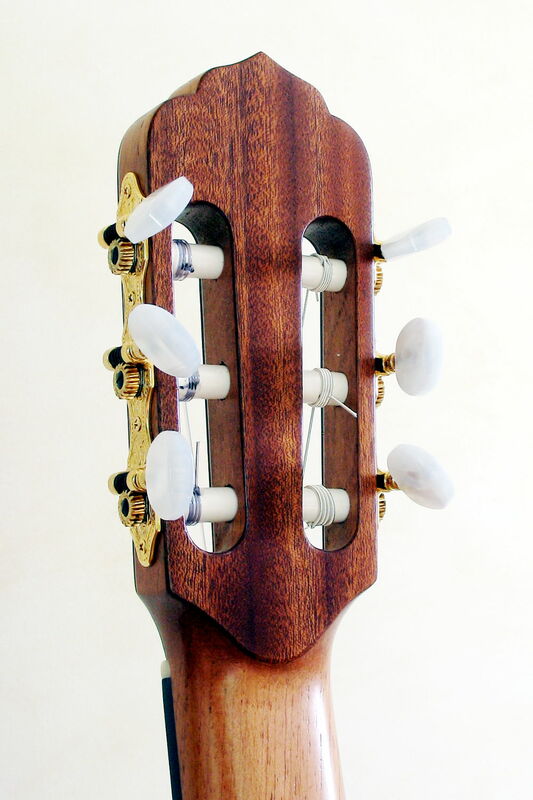 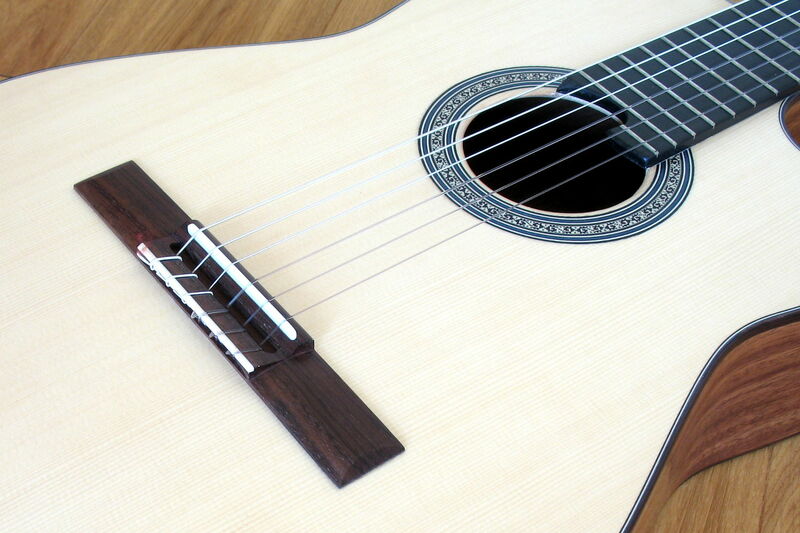 It was designed to allow steel string guitarists for easy switching to classical guitar. 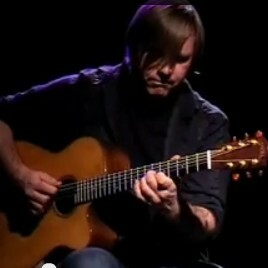 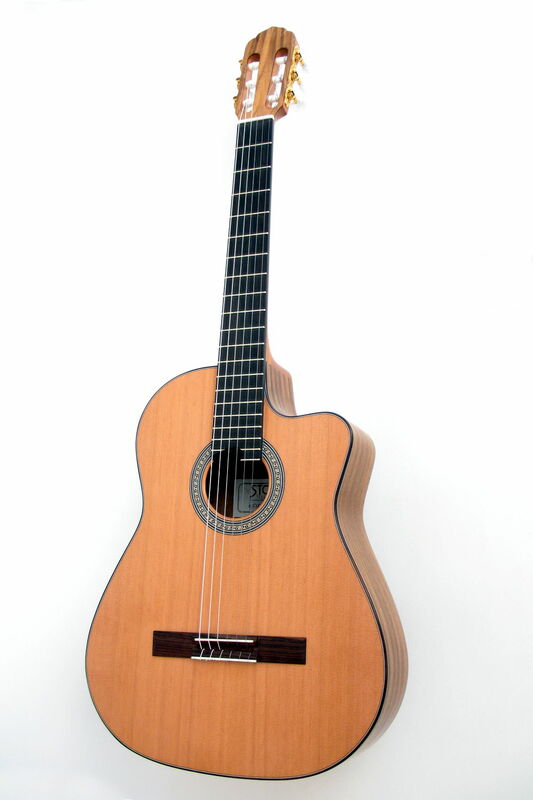 Due to its sound design it is particularly suitable for Latin-Jazz, Bossanova or other modern playing techniques. 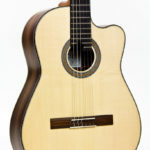 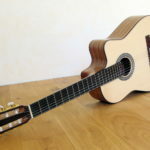 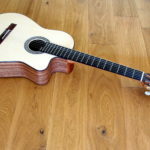 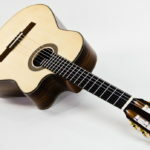 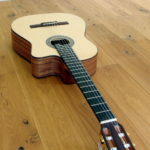 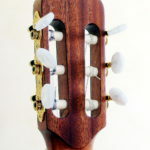 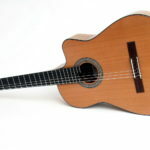 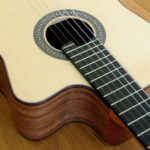 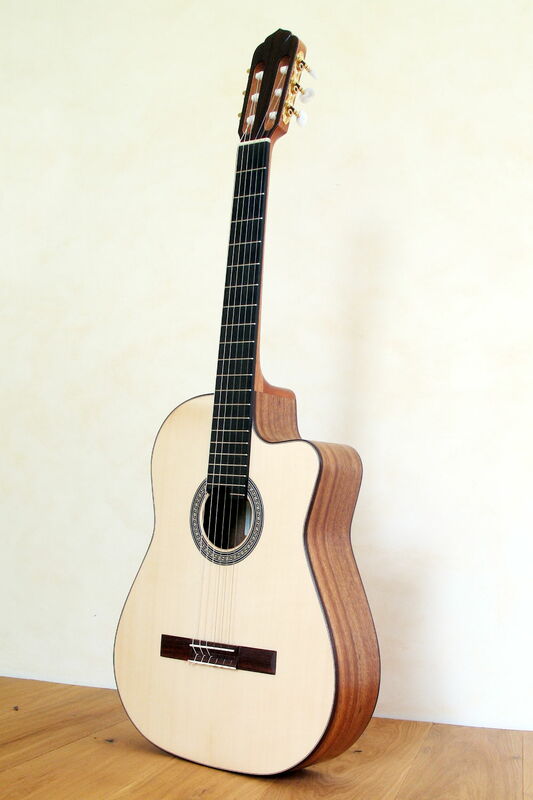 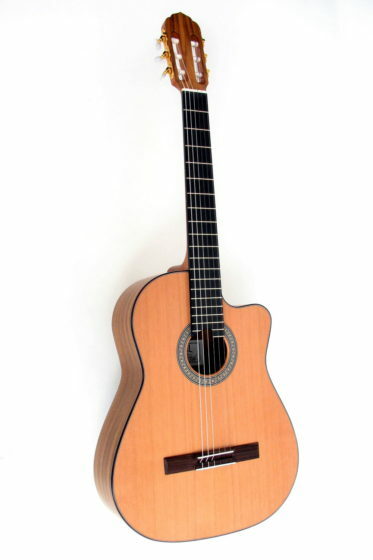 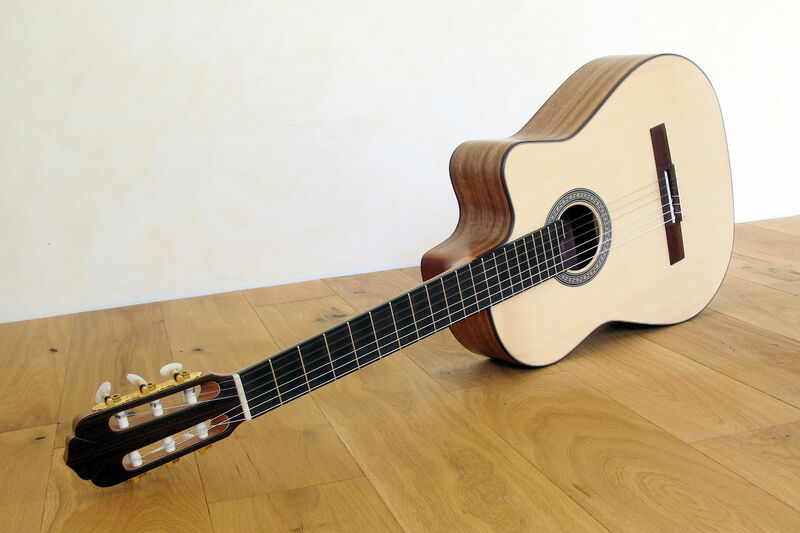 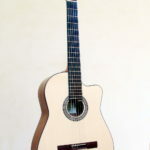 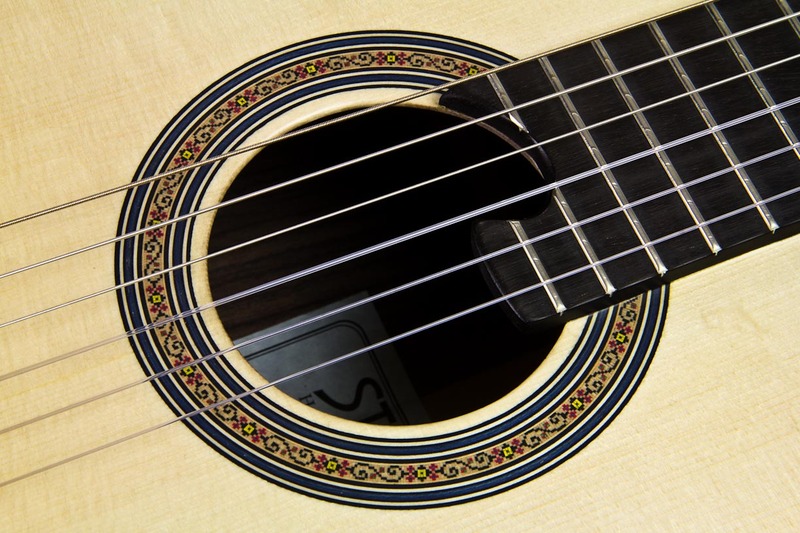 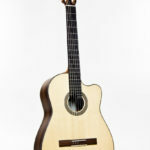 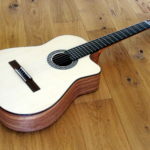 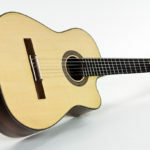 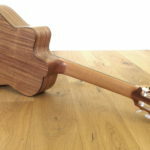 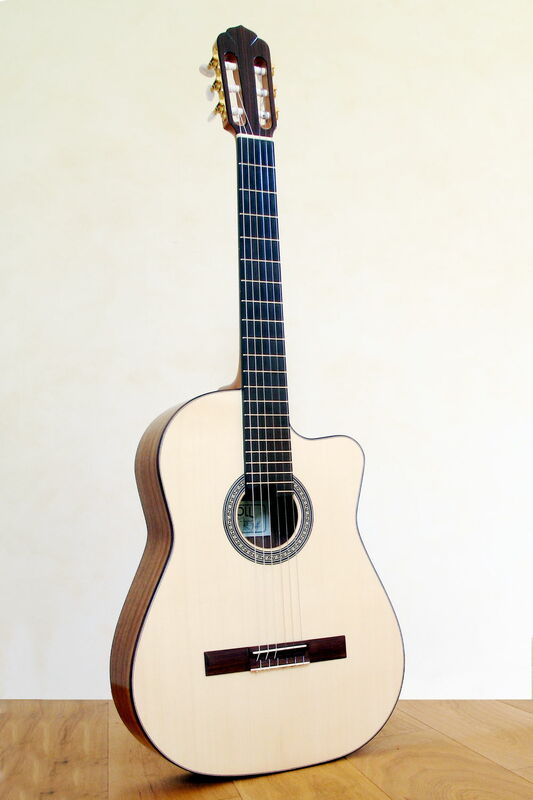 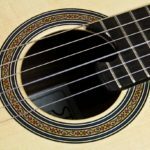 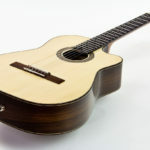 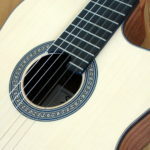 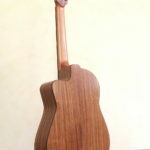 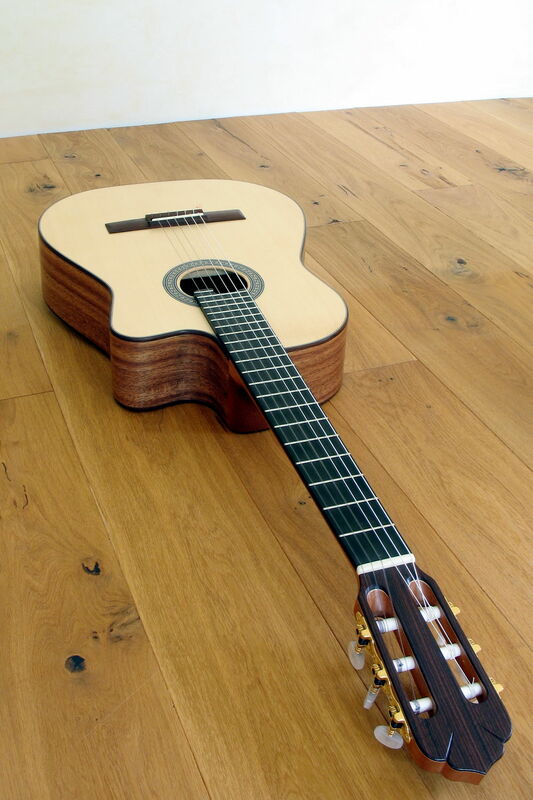 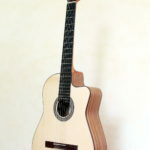 Alegra is a contemporary nylon string guitar, which produces a sound that differs significantly from the typical sound of a classical guitar due to its construction, bracing and wood selection. 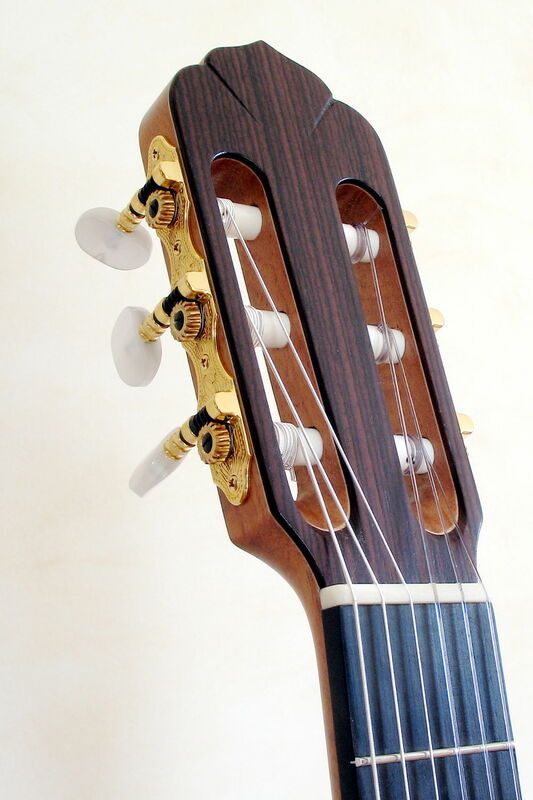  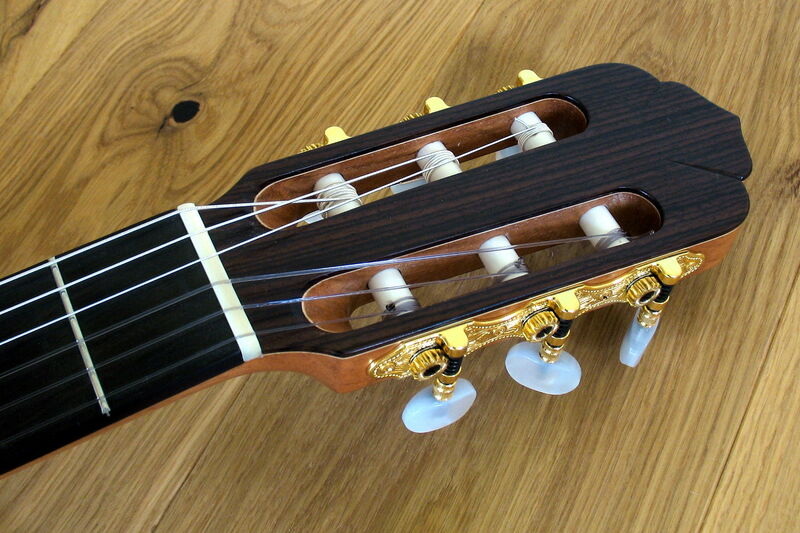 The neck is also oriented towards the demands of modern playing styles with its flatter design and smaller width. 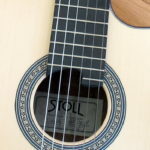 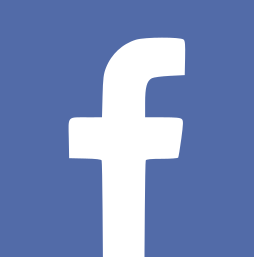 The strings are deliberately kept low. 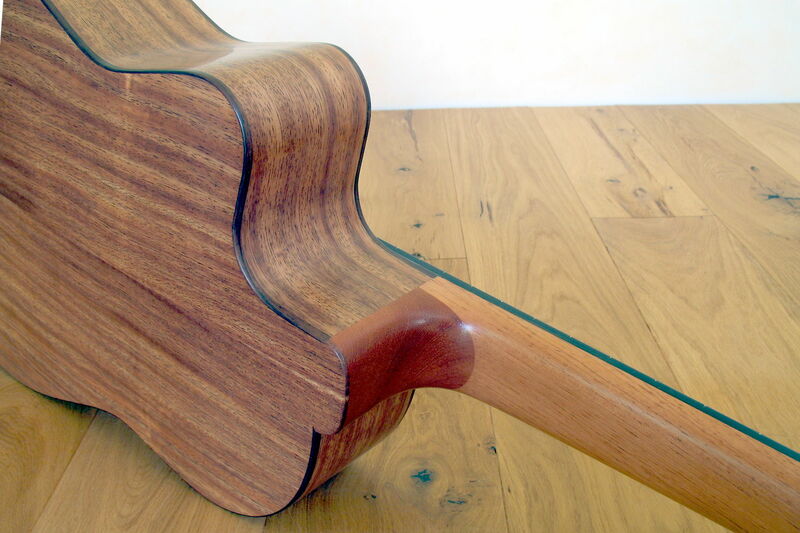 Cutaway is standard. 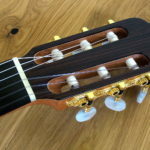 The sound is balanced and present, but much more crisp, with a compact period of vibration, which supports fast guitar runs and virtuoso improvisations in the best possible way. 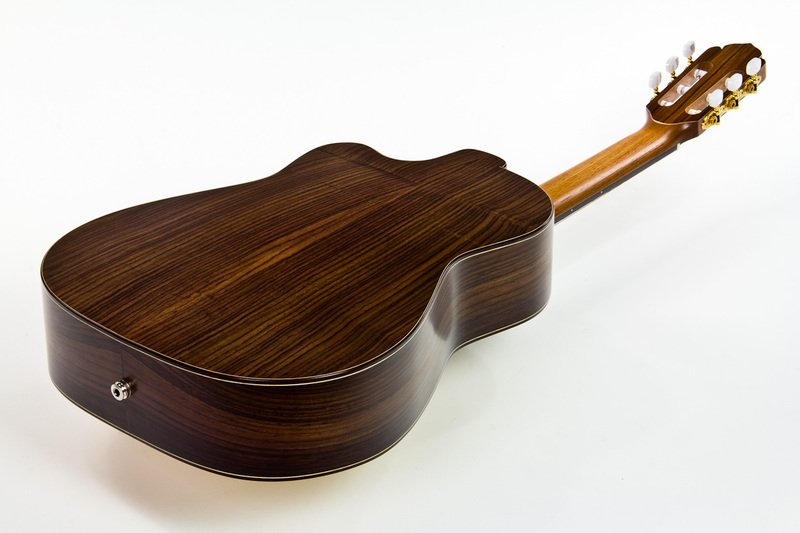 We prefer Indian Walnut to support this tone. 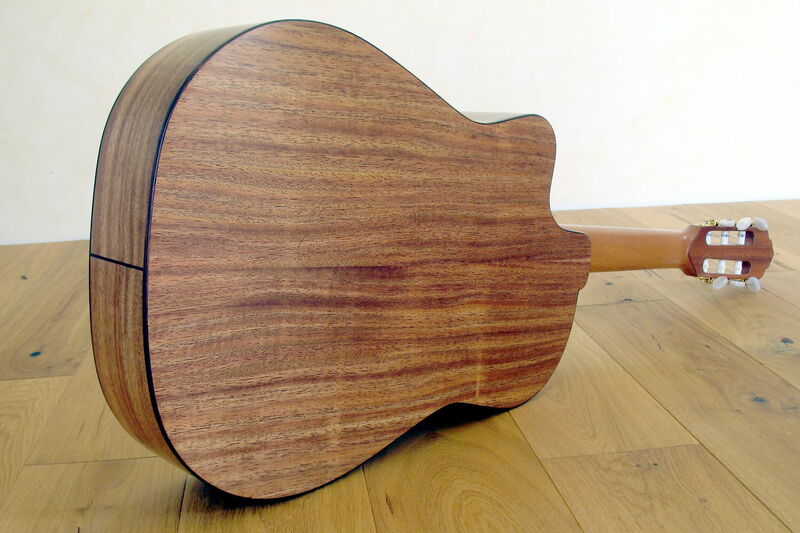 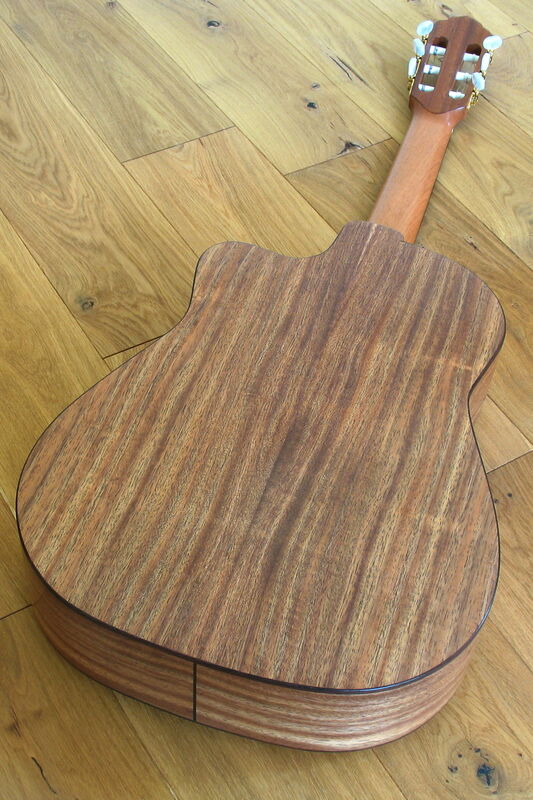 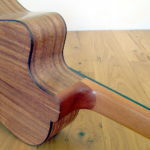 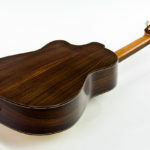 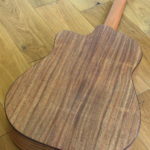 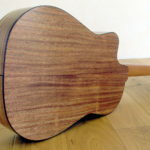 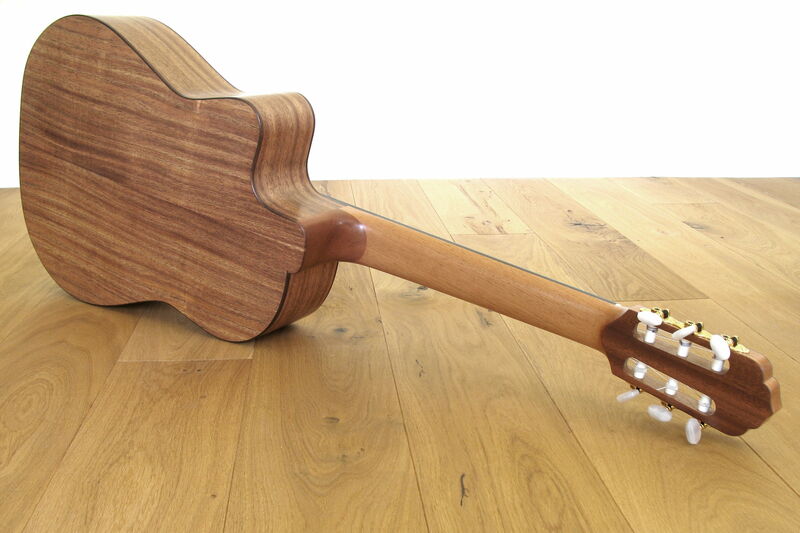 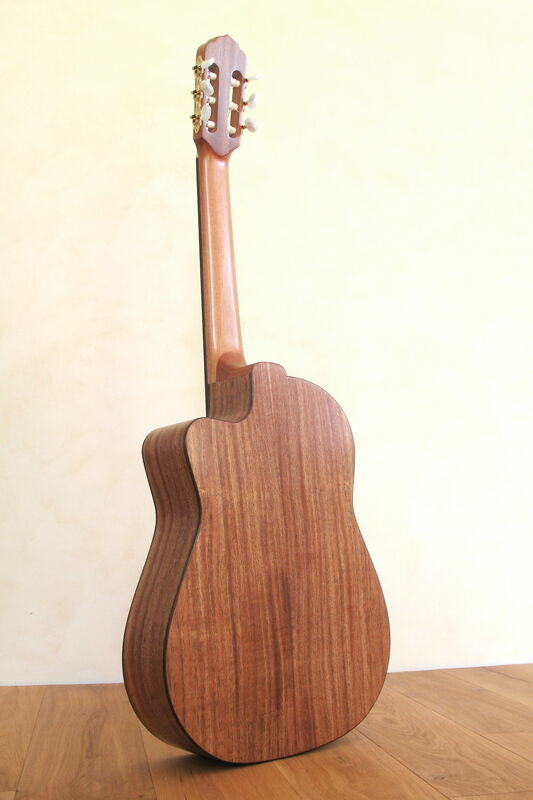 Using “classic” Indian Rosewood for back and sides, adds to the guitar sound a bit more warmth and volume. 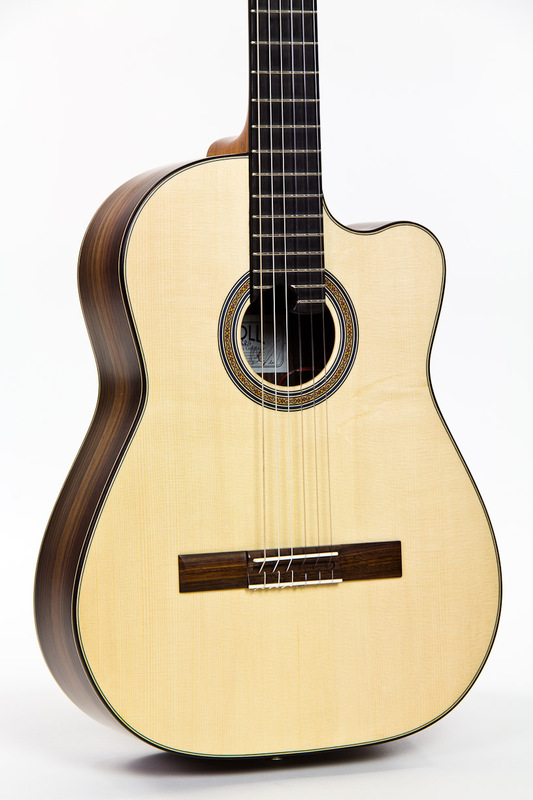 Alegra offers a wide range of playing styles, even the normal classic use is possible. 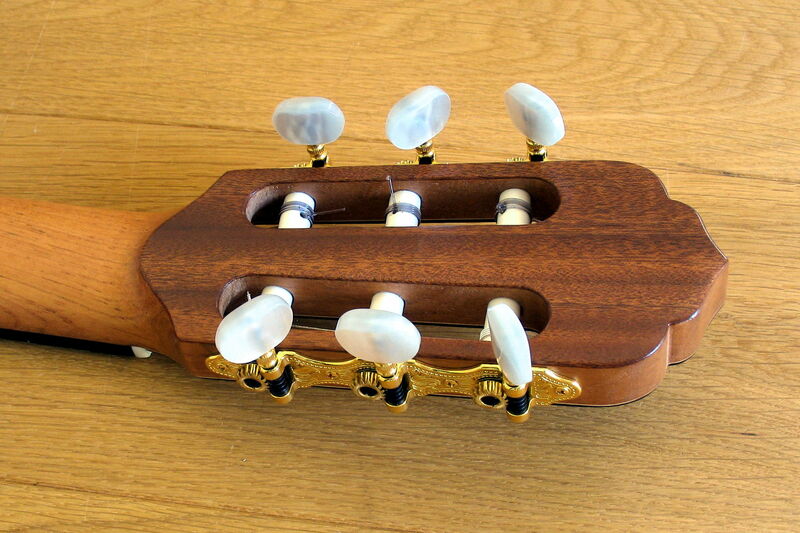 - Its versatility knows no bounds.